When most people think of clean technology and renewable energy, they think of the two industry stars: solar and wind power. In addition to their promise to replace fossil fuels, they're iconic and aesthetically pleasing. But other clean technology solutions have the potential to shine and make equal, if not greater, contributions to our success in weaning off fossil fuels. One of the most promising of these solutions is biogas. This article focuses on the untapped power of biogas. First, we'll discusses why biogas is a real solution to our energy challenges today and why it's on the verge of transitioning from proven, popular biowaste conversion technology in Europe to a star role in the North American renewable energy economy. The second part presents how companies like Harvest are poised to transform the national clean tech landscape. Attending lectures on renewable energy from 2009-2010 at Stanford University, I was impressed with graphs of the booming solar and wind power industries in Germany. However, I was surprised to learn from the German government’s publication of Renewable Energy Sources in Figures that solar power produces only 0.3 percent of Germany’s electricity and heat. Wind power performs slightly better at 2 percent. The real star of Germany’s impressive renewable energy industry is biomass: energy harvested from the flow of carbon above earth’s crust. The lack of discussion around biomass was surprising given the lecture hall filled with students discreetly eating their lunches and the sound of leaf blowers collecting yard debris in the background. We were unknowingly surrounded by the kind of materials that Germany uses to supply almost 8% of its electricity and heat. 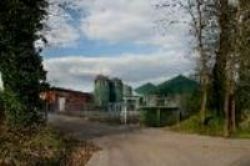 In this article, I highlight an especially promising form of bioenergy used extensively in Germany and many other countries: biogas. Biogas turns today’s organic waste into tomorrow’s energy. Pizza crusts, fallen leaves, animal wastes, cornhusks, and many other feedstocks can be digested to generate biogas and then turned into nutrient-rich compost or fertilizer pellets. Biogas­, a mixture of methane, carbon dioxide, and trace amounts of other gases, can be used for electricity and heat production, upgraded into a vehicle fuel, or fed directly into the natural gas grid. Not only is this technology flexible, it is available today, and does not need years of subsidy-fueled research to be viable. Germany has built a robust biogas industry. Projections for 2011 in Germany show biogas sourced from agricultural feedstocks producing 17 million MWh of electricity, representing 3% of total production. Their 6,800 anaerobic digestion plants supply nearly 5 million homes with power, create €6 billion in revenue, and employ 20,000 people. The projected growth of this industry for 2020 shows 25,000 digesters supplying Germany with 76 million MWh, or 17% of electricity production, powering 22 million homes, creating €26 billion in revenue, and employing 85,000 people. These projections do not include biogas available from food or municipal waste, so the potential impact of the entire biogas industry is even larger than the projections listed above. In comparison, the United States has a far more extensive agricultural system than Germany with fourteen times the expanse of cropland and eight times as many cattle. The German biogas industry can be modeled as applied to land and cattle resources to the United States. If the United States had followed Germany’s path of development for a biogas industry, in 2011 a network of 88,000 digesters would have produced 223 million MWh of electricity, representing over 5% of total electricity production. This would have powered 20 million homes, created $26 billion in revenue and employed 260,000 people. Instead the United State’s biogas industry can boast a meager 171 digesters, which produce well under 1% of total heat or electricity production. The United States should put its vast quantities of agricultural residues to use and embrace a biogas industry. Digesters, a scalable technology, can be built on farms of all sizes and create additional income for the millions of farmers in the United States. A biogas industry would help agricultural communities stay afloat in the fast paced economy of the 21st century. In addition to agricultural waste, the United States also produces huge amounts of organic waste in other forms such as leftover food, yard debris, and sewage. Millions of tons of these wastes are discarded each year, incurring costs for both collection, transportation to distant landfills, and disposal. Conversely, using our apple cores, tree trimmings, and even our sewage to generate biogas could produce over 30 million MWh of electricity, while saving cities and towns money on waste management and creating jobs and revenue. Germany provides a model that demonstrates how biogas can offer great benefits to society with significant agricultural resources like the United States. In addition to benefitting rural areas, biogas can cut costs and simplify waste management for urban centers. Now, as I munch my lunch and listen to leaf blowers, I imagine how these organic materials could fuel our future. The first part of this editorial applied a new lens to lunch and explored the untapped potential of biogas. Germany provided a model for this energy resource – organic materials – that can reduce fossil fuel dependence while contributing to rural and urban economies. This second section takes a closer look at biogas as a vehicle fuel and its benefits to the environment. Biogas is a flexible fuel in today’s car economy. It can be used to produce electricity to power electric vehicles and it can also be processed into a vehicle fuel comparable to biodiesel and ethanol. In 2011 the Honda Civic CNG became the first natural gas vehicle available in the United States which means it can run on upgraded biogas. Biogas reduces greenhouse gas emissions associated with fossil fuels. Biofuels use carbon that is already part of the cycle above the earth’s crust, limiting greenhouse gas emissions. When anaerobic digestion plants are applied to the organic fraction of municipal waste, not only does the resulting captured biogas energy offset fossil fuels, it reduces greenhouse gas emissions associated with organic materials in landfills. If organic waste is left in landfills, it produces methane as it breaks down (methane is a potent greenhouse gas if emitted to the atmosphere directly). While many landfills have gas capture systems, the methane can still escape, and of those that collect the gas not all generate useful electricity or fuel. Compared to other biofuels like ethanol or biodiesel, biogas is preferable when derived from energy crops due to higher gross and net energy yield, as well as dramatically better greenhouse gas profile. Looking at the German bioenergy industry reveals that the same area of land produces double the gross miles, and yields nearly three times the net energy as ethanol. In summary, biogas efficiently uses materials that would frequently be disposed of, is flexible in its applications, supports rural development, cuts waste management costs, can reduce greenhouse gas emissions, and has a higher energy yield when applied to energy crops. The United States has poured billions of dollars into research and direct subsidies for liquid biofuels to find a temporary replacement for gasoline. In that search we may have overlooked a renewable natural resource lying quite literally at our fingertips: Biogas. Elena Stamatakos was an intern at Harvest Power. Alex MacFarlane, vice president of project development at Harvest Power, contributed calculations. Harvest Power harnesses the maximum value from organic materials by providing recycling solutions, generating clean, renewable energy, and producing soils, mulches and natural fertilizers.